We do On-Call Service in all around Chennai. Door Step Service in all around Chennai. All kind Brand Accessories Available. Our service center is the most popular service center in Chennai. We have branches located in Nungambakkam, Anna Nagar, Tambaram, Porur, Velachery, Kodambakkam. Our service center mainly focusing on Customer Satisfaction. We have reliable service team. We are Dell Certified Non-Warranty Service Center. 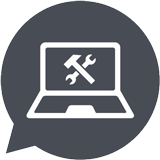 Our trained and talented service engineer have a good experience to troubleshoot whatever problems in your laptops & desktops. They will clear the issues within a day and save your valuable pocket money. Customer Satisfaction is our Prioritized Goal. The chip level service on Desktop and Laptop to be carried over with easier techniques to solve the problem shortly. We are the quality service provider. We have service experts for every type of Non-Warranty services. We provide proper service assistance. Data recovery also one of best service in our service centre. Accidentally lost or deleted files also recovered easily with our service expertise. We will make inaccessible data to access through our special recovery techniques. We had organized our best level of salvaging service. We operated this service centre to the data recovery of the external sources and the lost form of a data with newly introduced software. Hardware failure also fixed and rectified. We charging least only for all types of data recovery. If data lost due to the physical damage also recovered with more accessibility. We have good access to the recovery of data due to the talented service engineers. Partition data failure also recovered with the good level of affordability. The corrupted data salvaging made successfully. The retrieving data from crashed Operating System is also salvaged with reasonable cost. Totally any type data salvaging can be possible with our service experts. Apple service center Chennai is one of the leading service providers, has branches in Nungambakkam, Anna Nagar, Tambaram, Porur, Velachery. We have ten plus years of experience in this service field, having more than 2000 reputed customers. Our technical support team assists you with the proper instruction towards the issue appeared on your device, with care and in modest service cost. Our supportive service engineers take care of all the contention caused by your product. The services offered by our firm are broken display replacement, RAM upgrade, MAS OS installation, Ports repairing, Chip level service, Laptop Keyboard Replacement, Touchpad Replacement. Apple is the world’s largest information technology company. We are the specialist in servicing the MacBook, MacBook Air, IPad air 2, I pad mini, iPhone 4s, 5s, 6s, 7, 7 Plus, 8, 8 Plus and SE models. We set up your iPhone and show you some of the great features that come with it. Our Service support is the certified people who bring your product accessibility back, who boosting your product afford ability. We will support your problems with care, by understanding the causes of the problems on your product. In addition, we have Mac technical support team who can route with care to solve your problem over the phone also, if possible. We offer door to door service in your pocket allow budget, we fix all hardware or software related issues. Synonymously Apple is perfect, standardized classy brand. We have our service center branches in Nungambakkam, Anna Nagar, Tambaram, Porur, Velachery. Let us help you on repairing Apple product and installing the MAC OS. Every model of Apple is repairing with care using genuine spares of Apple. Young team of technically qualified experts with engineering background. Unparalleled expertise in providing computer peripherals & chip level services. Excellent track record in the field of system service and customer support. Provides a handful of basic maintenance tips that help clients to keep the system in top shape. Conscientiously focusing on understanding our clients problems rather than just servicing them. To become one of the most reliable and respected computer and laptop service providers. To deliver integrated service solutions, enterprises need today to increase productivity, sustain profitable growth and ensure customer delight by maximizing service differentiation. Delphi solved the various issues I had on my computer. They also explained clearly what the problem was and sorted them out efficiently and in no time. My computer is now working as if it were a new one. They also gave me hints and ideas about certain additional things. We were very impressed with the excellent Laptop service provided by Delphi Technologies. Engineers were knowledgeable, my problem was sorted out and my laptop was delivered back at my office on time. I highly recommend Delphi for their prompt Laptop Repair service. Reliable & Knowledgeable tech proving value for the money spent is what we searched for to work with. We are convinced looking at your excellent service with customer relations skills. We would recommend you to anyone who requires computer service.